Manikyadhara Falls is situated on the Baba Budan Giri range near Kemmangundi. 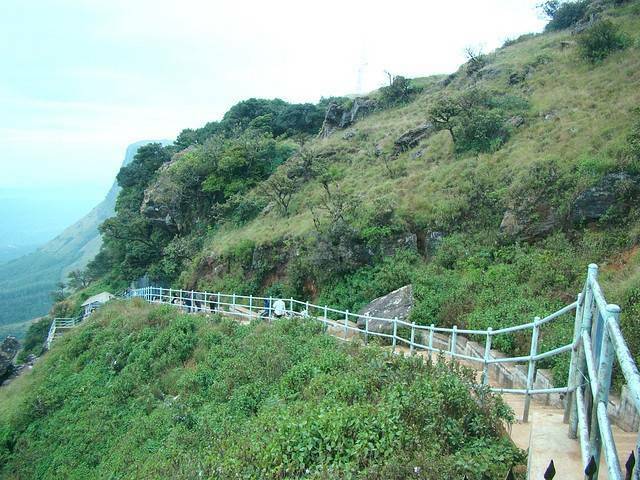 It is about 40km from Chikmagalur and is a famous tourist spot for people coming to Chikmagalur. It is not a very big waterfall but is heaven for hikers, trekkers and nature lovers. The mist covered hills of Baba Budan Giri and the cool breeze add to the awesomeness of the place.